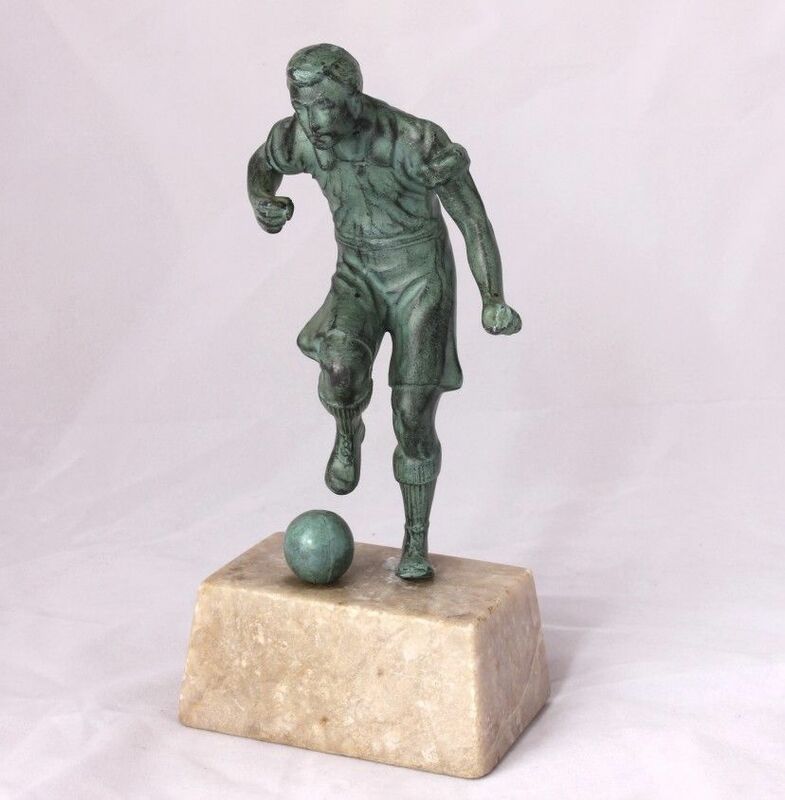 Art Deco Vintage Footballer Statue. 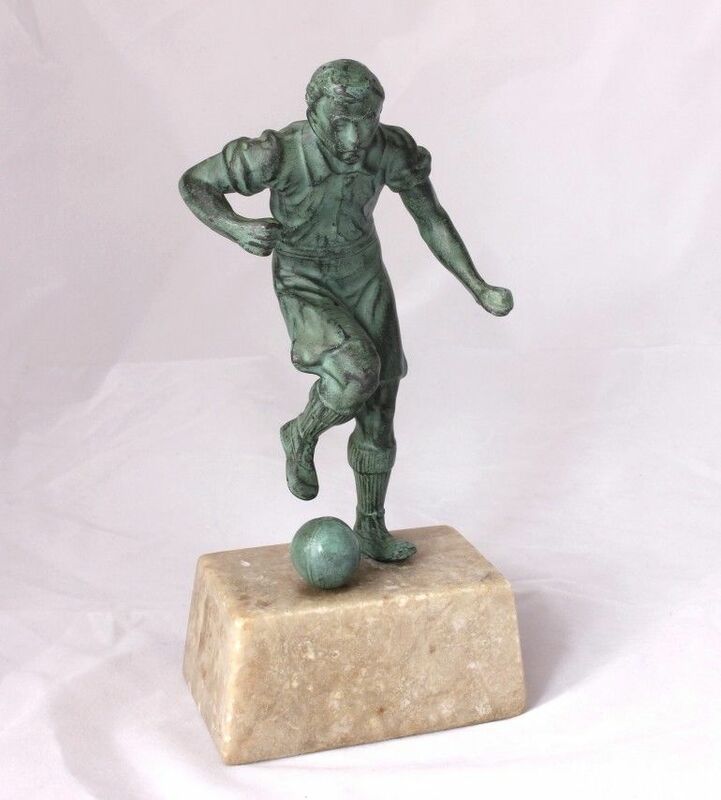 Metal Figure of Soccer Player & Football. 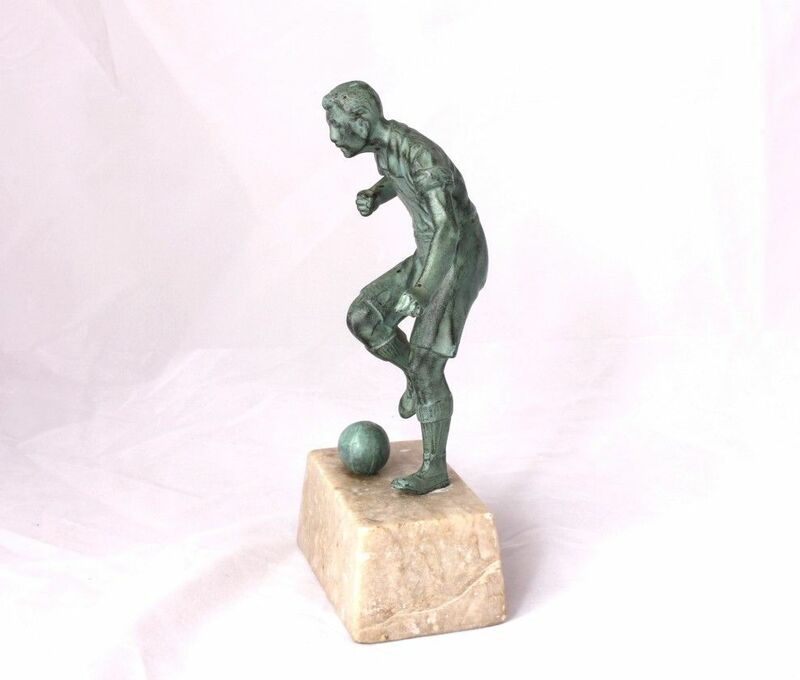 This original vintage french football statue is of an early style player about to kick a football. 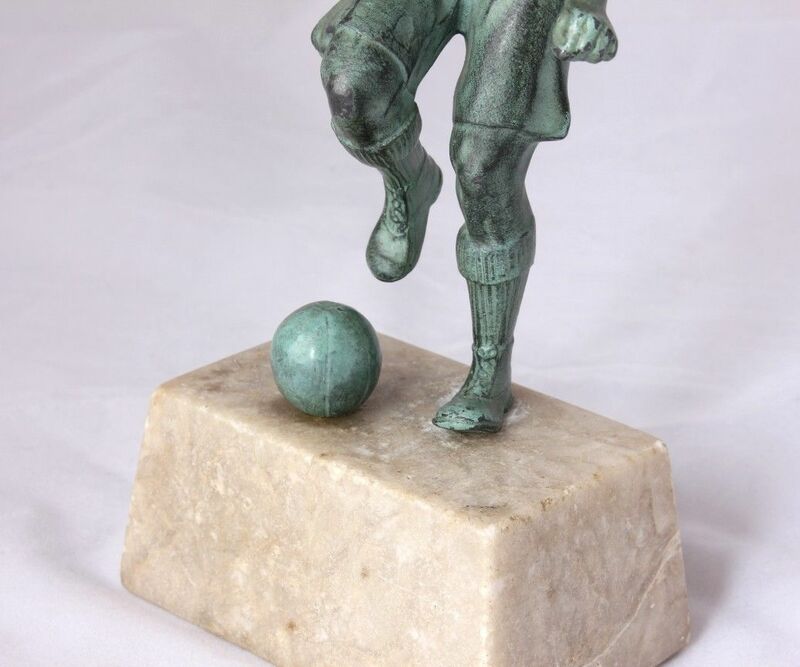 It is made of cast metal with a patinated bronze effect finish and is mounted on a beige marble base. 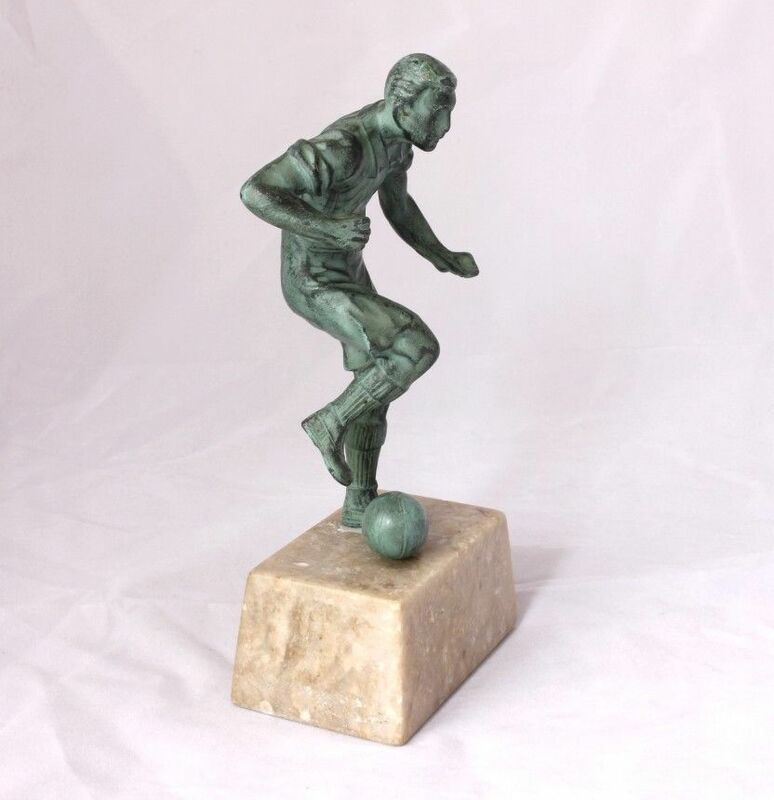 A very nice football memorabilia display item or gift for a football enthusiast. 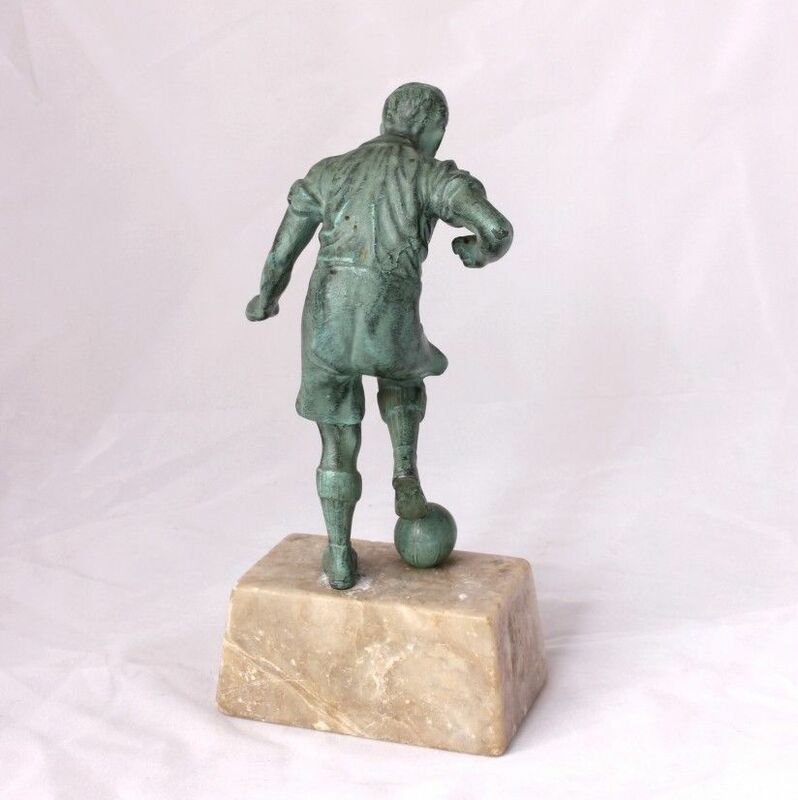 Material: Cast metal with a patinated bronze effect finish and mounted on a beige marble base. Size: 18 cm (7") high approx. Condition: Very good used vintage condition with only signs of use in keeping with age. Some light chips and scratches. A few nibbles to the marble base. Please study all pictures as they form part of the description.